Since its first flight from Stockholm to New York 70 years ago, SAS has been the unchallenged leader of the Nordic skies. But that’s about to change. Judging by predicted passenger figures, SAS has two months left to enjoy its position as top dog in Scandinavia before being surpassed by Norwegian. By the end of October, 29,009 million passengers had flown with SAS over the past 12 months, compared to 28,631 million passengers on Norwegian during the same timeframe. The writing has been on the wall for some time now. In July 2015, Norwegian flew more passengers than SAS, the first time it had ever beaten its rival over a one-month period. And now it looks set to completely take over. 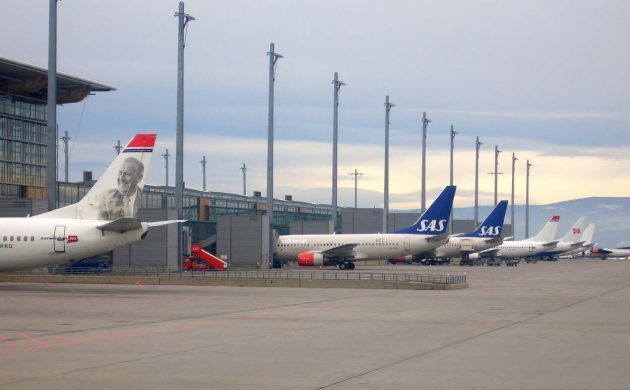 Citing Norwegian’s passenger growth of around 13 percent over the past 12 months – compared to SAS’s 3.3 percent – industry experts are confident the Norwegian airline will surpass SAS by the end of this year. Since Norwegian opened its first low-fare flights from Norway back in 2002, the airline has gone from strength to strength, while SAS has struggled mightily. In 2012, it came perilously close to going bankrupt. But SAS seems to have manoeuvred itself out of its tailspin recently as the airline has returned to making profits following a comprehensive streamlining process.